Forget about leftover Cold War politics, forget about current political differences, forget about the cliché of “frozen-in-time” automobiles—and just look at the people. 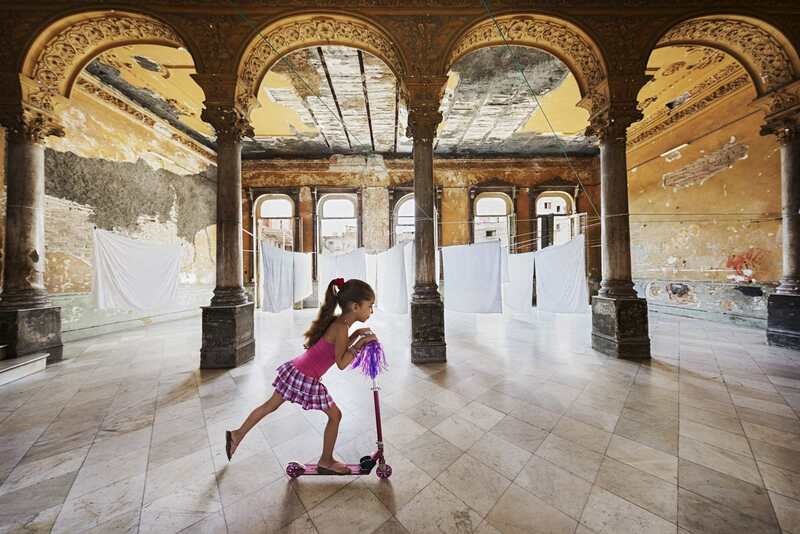 That’s what photographer Lorne Resnick did when he photographed Cuba over the past twenty years, and what he got was something much more alive, dynamic, magnetic, than anything you can read in a news story about the mysterious island nation. I spoke to Resnick about his book, what it is about Cuba that kept him coming back, and now that Americans are rediscovering the country, what should they look for when they visit. How did you gain such seemingly unrestricted access to the people of Cuba? I remember my first trip to Cuba twenty-one years ago—the summer of ’95. I remember watching the Cuban people interact with the Americans that were there at the time (far fewer than today, but still some). I asked the Cubans the same question over and over. The US has an embargo against Cuba, which is causing great distress for the Cuban people, so why are you so friendly to the Americans you meet now? And the answer was always the same. “I understand the difference between the American government and the American people.” I found this to be a fairly sophisticated and nuanced view. So, even back then the Cubans were very friendly towards anyone visiting their country, including Americans. The Cuban government had a similarly sophisticated view. There was never (at least in my experience) any effort to restrict contact between Cubans and anyone—including Americans. Having said all that, I think that what hopefully comes across in the people images in the book is not only the fact that I was able to take photos of people (fairly easily done) but rather that the photos of the people I took show some level of intimacy and connection. My goal with the book was never only to show people what Cuba is like, as that has been done, but rather to show people my experience and view of Cuba and what Cuba feels like to me. It’s that emotional connection that I was always after—whether shooting a cloud, a person, a building, or a car. Many of the images of people in the book are friends of mine that I shot over a period of years, so I feel that emotional connection comes through in the work, because it was there in real life. With relations warming between the two governments, the United States is getting ready to rediscover Cuba. You’ve been traveling there for the past twenty years. What advice do you have for Americans visiting for the first time? The answer to that question depends much on what you want out of a trip to Cuba. For the first time in many years it is much easier to go to Cuba individually rather than in groups. Both have pros and cons. If you go by yourself you have the ability to go at your own pace and explore the things that interest you. The Cubans are very friendly and it is very easy to make friends and connect, and in my experience it is the safest country to travel in by yourself that I have ever been to. So traveling by yourself will lead to great opportunities. The downside to solo travel is the time you spend discovering and setting up things and not having anyone experienced on the ground to put you in the right place at the right time. That’s where group travel comes in and that can really work out well if you pick the right organization to go with. 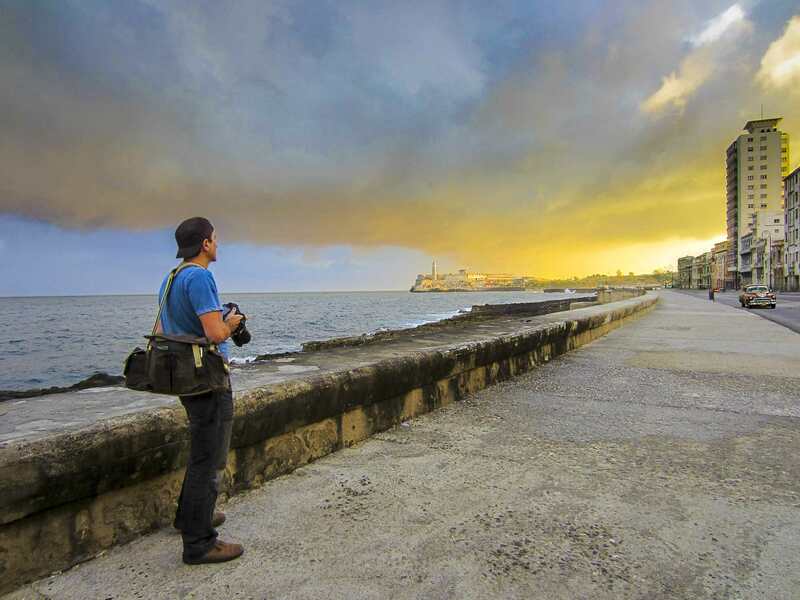 I have been taking people to Cuba for about ten years, teaching photo workshops there. The biggest benefit with group trips is getting immediate access to things you would never ever be able to do on your own, being in Cuba for the first time. For example, I am able to get my groups into dance and music events and introduce them to my Cuban friends that create a very deep and emotional experience that would take years to cultivate on your own. 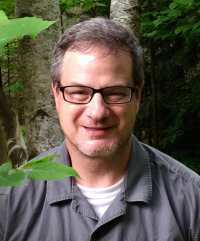 How did you work with your coauthor, Brian Andreas? Was it a separate process for each of you, or was there collaboration in blending text with photos? Well, the short answer is that is was a collaborative process. But the longer answer and backstory is interesting as it sheds light onto how the book took the format it did. A couple years before the book was finally published I began editing images and working on the book title. The title of the book was an extremely difficult process for me. I knew I wanted the title to be more lyrical than literal, more evocative than descriptive—to match the kind of images I was shooting. I wanted the book to reflect how Cuba feels, rather that how Cuba is. So, I started rereading a lot of great Cuban poetry. While I enjoyed the poetry I felt I had the same problem— nothing really clicked with the work, in terms of a possible title. And then I thought it really wasn’t necessary to restrict myself to Cuban poetry and that’s when I thought of Brian’s work. I had known of Brian’s work and been a fan for more than a decade. When I first started dating my wife, we were in a gallery in Ojai, California, and we saw his work—these beautiful evocative micro stories printed on wood sculptures in fantastical shapes and colors. Over the ensuring years we would buy each other his stories printed on his wooden sculptures, which are now hanging all over our house. Like too short a time. And I felt the middle line—“this moment, exactly so”—really summed up my attitude about my photography, the images I have created in Cuba, and how I felt being in Cuba. I felt a lot of his stories were very evocative of the emotions I felt while I was in Cuba. From his work I found about eight stories that I felt would work really well with the images in the book. I asked him if he would consider creating about twenty new stories for the book based on the photos. He loved the idea. And then two seconds later I said I had a crazy idea: why didn’t he come to Cuba with me on one of my photo workshops and experience the country personally and then write the stories based on his experiences and my photos? The final story selection and image/story matching was done by me, along with an editor from my publisher. It was a very organic process with Brian, with a lot of back and forth and some tweaking of the stories to integrate them with the images and flow of the book. Even with the rise of electronic media and virtual reality, there’s still nothing like a good, hefty coffee table book filled with beautiful pictures you can touch. Are you optimistic that print is here to stay? Yes, I am. Along with the proliferation of methods to display images digitally, there are also now many print-on-demand options. So people can now create their own printed books very easily. So, I would say judging by the popularity of those, that people still very much value that “good hefty coffee table book.” There really is nothing like having a book of images in your hands and paging through them. On top of that I feel there is an implicit understanding between the creator and the viewer of a book, that because the creator has gone through the effort to edit and print those images, that the collection of images that wind up in a printed book command more attention, more value if you will, than images that are just displayed digitally. When I was creating the book I also had it in mind to create something that was impossible to duplicate digitally—which is why I created the stories on vellum sheets. I think that integration between the stories and the images is unique and even though a digital book does exist for my Cuba book, it’s not the same as the actual paper book. I also like the fact that there is a fixed sequence to the images in printed book form that creates a specific flow and emotion, where with the digital version it’s much easier to see all the images at once or skip through them fast, which I find less fulfilling. You’ve photographed rock stars, your work has hung in galleries. What is it about Cuba that keeps you coming back? I originally came to Cuba for the history, the cars and the buildings. I keep coming back for the people. The people are warm, open, generous, complex, and different than Americans. There is a very compelling culture of friendship and family that I find very endearing and beautiful in Cuba. I’ve never been to Cuba without experiencing many beautiful emotional connecting moments. When I take my groups to Cuba I often get the question, “Is Cuba safe, safe to walk the streets, safe to take photos?” While it’s obvious that no country in the world is 100 percent crime free, I have found that Cuba is the safest place I have ever been and it’s much more likely that walking the streets alone you will be “grabbed” and pulled into someone’s home for a glass of rum and a dance lesson than encounter any crime. Cuba is not only an interesting place to visit but it is a compelling and often life changing experience. I can’t count the number of times my participants on my trips have used those words to describe a trip to Cuba—“life changing.” It’s almost impossible to visit Cuba once and not fall hopelessly in love with it and keep coming back again and again and again.